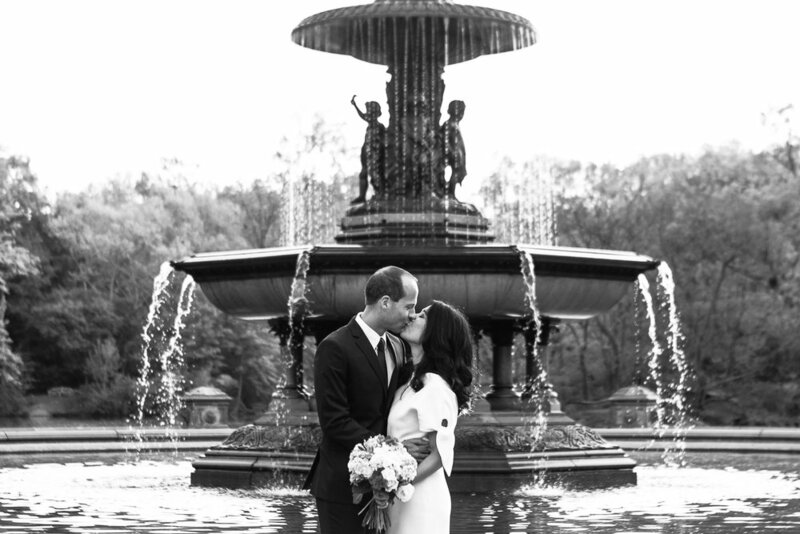 Christine and Jork came from the West Coast to NYC to have wedding portraits taken before their private elopement at City Hall. They really wanted Central Park, and I suggested sunrise. “Are you up to it?” I asked. “The time difference will make it brutal on you!” but they were game. Christine got a blowout from DryBar the night before (my suggestion - slept-on blowouts are just as gorgeous with a tiny touch up, and for brides with thicker hair, sometimes they’re even better.) She also opted for a no makeup look, which I loved. The day was perfect. We started at 6 am in the Park, and practically had it to ourselves. 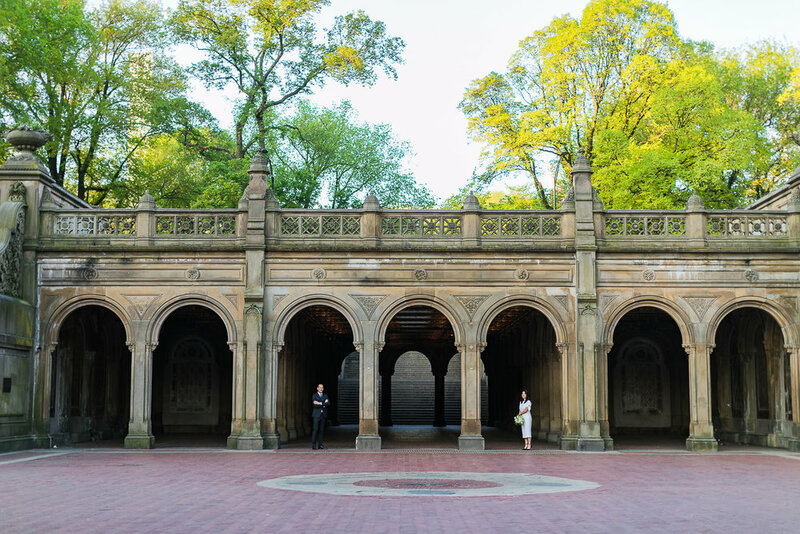 We took photos in the most iconic areas of the Park: Bethesda Terrace and the area by the lake that has the dramatic weeping willows, and the Mall with those American Elm trees I think are so incredibly special. At the very end of our session, family joined us for a few photos before they all traveled off to get breakfast and get married on their own. 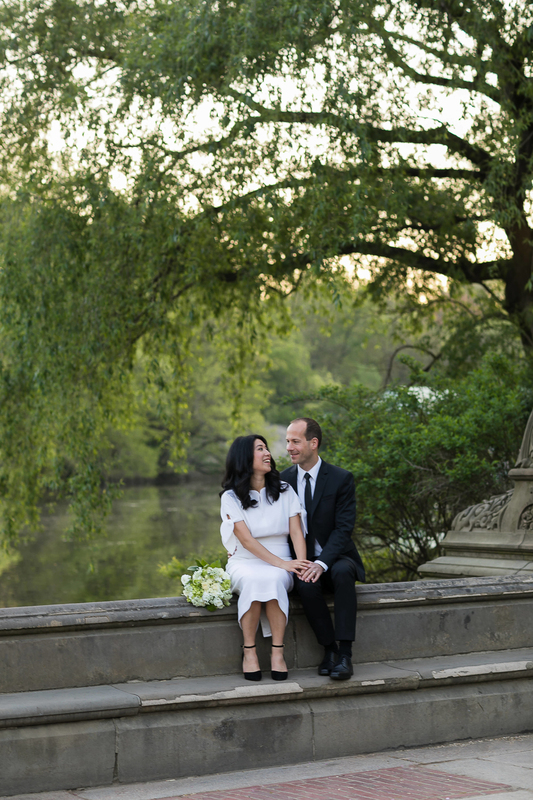 For an affordable option to eloping in NYC, this is a good one. 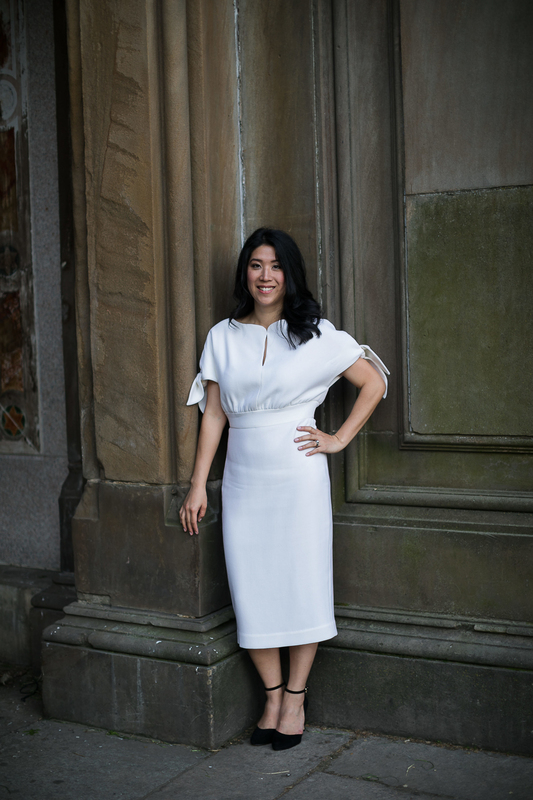 My one-hour elopement collection covers this perfectly, and we were able to spend the entire time getting wedding day portraits.